Well it has been 2 months in my new home and getting used to transitioning visits from my husband and swapping teenagers. I am lonely with just the 6 year old here right now but I sure have a lot of crafting time since he became friends with the kids in the neighborhood. I have to make him come home and eat! My little guy was extremely shy, still is to strangers, but he is blossoming and adapting so well with kids his age. I love his joy and freedom to be himself not holding back, why can't us adults do this? lol I am taking lessons on their whimsy and creative play they seem to enjoy to their exhaustion. 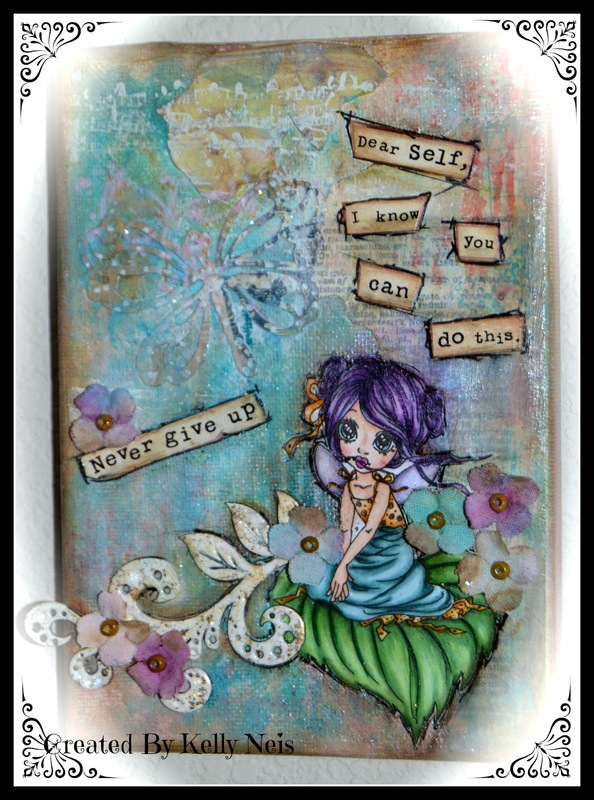 Here is a canvas I made using a Saturated Canary image Ribbon Fairy that I colored in Copics. I colored my background with Distressed paints and Ayeeda Sprays. I doodled a bit around as I wanted the image to stand out and not get lost. Here are some beautiful cloud photos taken from my porch after a storm passed by. There is beauty here all the time. Oh wow this is just such a beautiful canvas so wonderfully coloured with great inspiration. Adore your cloud photos, nature at its best. Wow, Kelly, you are on a roll! Another spectacular canvas! OMGosh, I totally love the background you created and the image is colored perfectly. Love her purpose hair!!!!! Your canvas is just beautiful Kelly, I am in total awe of your talent! The colours are wonderful and the image is lovely - great sentiment too. Another gorgeous canvas! 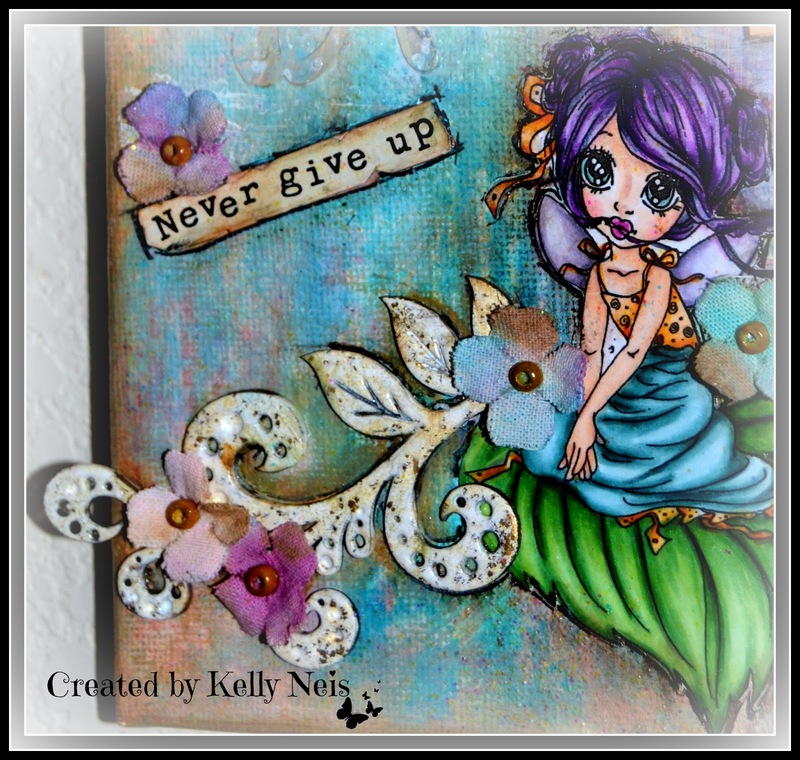 Love the mix of color and that phrase is fabulous!! So happy to hear that your youngest son has adjusted so well. Seems that you also are adjusting and that sure makes life so much easier. Great pictures too! hugs and happy weekend... and yes, I picked up on the hint (birthday) just fine..LOL. 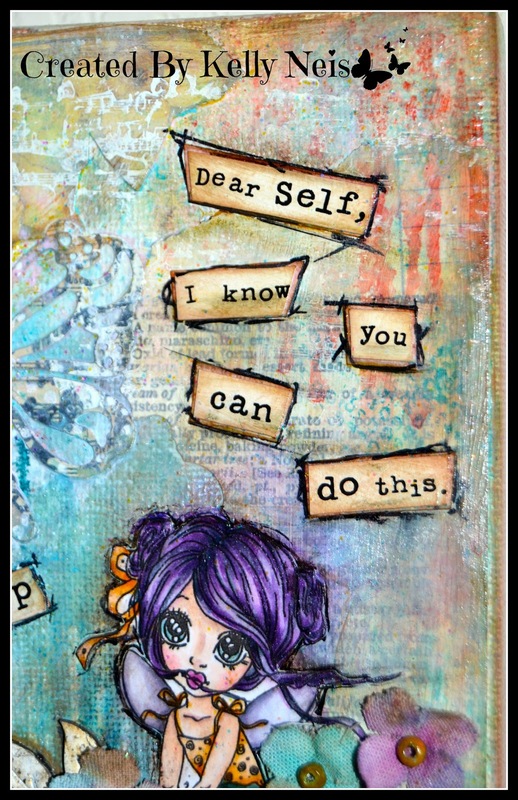 What a fabulous canvas Kelly and the sentiment is wow.. makes a person stop and think. Gorgeousness at it's best. 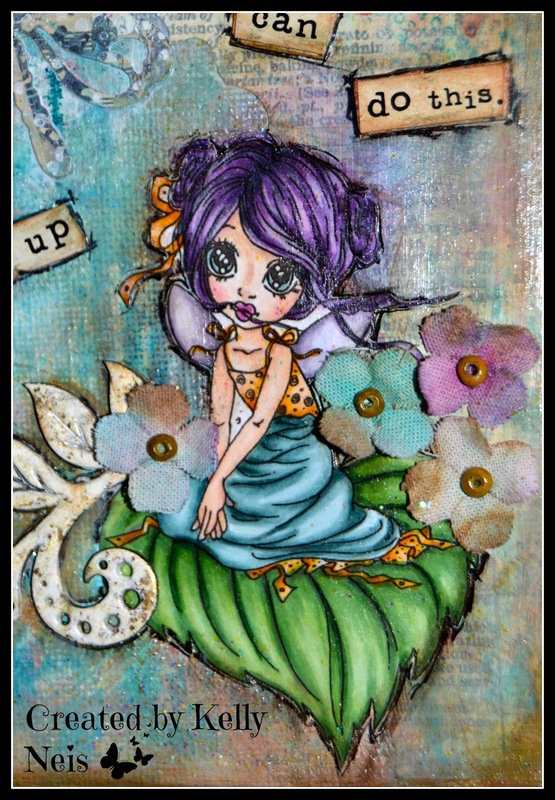 What a magical mixed media background - such beautiful depth of colour and wonderful textures - a great setting for the whimsical fairy.